TORONTO, January 18, 2018 – The Board of Directors of Women in Capital Markets (WCM) announced today that Camilla Sutton has been appointed President and CEO, effective January 22, 2018. Most recently, Ms. Sutton was Scotiabank's Global Head of Foreign Exchange. "Camilla is a respected, talented and motivated leader with a strong business acumen, and a capital markets veteran. Her hire is a significant achievement for the organization," said Mari Jensen, Chair, WCM Board of Directors. 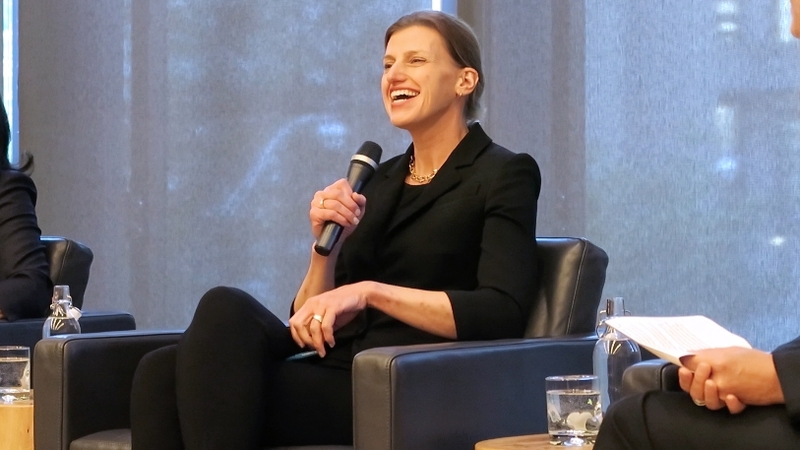 "Camilla is the right leader for WCM during this important stage of growth, and I am confident she will continue to drive change in Canada's boardrooms, executive offices and workplaces." Ms. Sutton joins WCM as a recognized expert in trading, sales, portfolio management, global macro strategy, and research across multiple asset classes, including equities, FX, fixed income and derivatives. Her career in capital markets has spanned both the sell side and buy side, with senior roles at Scotiabank Global Banking and Markets, OMERS and BMO Capital Markets. Throughout her 25 years in the industry, she has shown a commitment to, and a passion for, diversity and inclusion.